If you've just built an addition to your home, Jimmi The Plumber can come install new baseboards as soon as you need us. We will put in the new baseboard and connect it to your home's thermostat so the new room can be livable and warm today. Whether your baseboards are clogged or there’s a thermostat malfunction, we always treat your home with respect when you trust us to work on it. Jimmi The Plumber has been offering baseboard services since 1989, and we value our customers. We appreciate you keeping us in business, so we treat all customers with respect. Since 1989, we've worked on every kind of baseboard in every kind of home. We are familiar with the latest makes and models of baseboard, so we can certainly find one to complement any room in your house. If you'd like new baseboards to give your home a contemporary modern look, Jimmi The Plumber can get you set up. Remember us whenever you have big remodeling plans—we can outfit any room in your house with sleek, stylish, attractive baseboards. 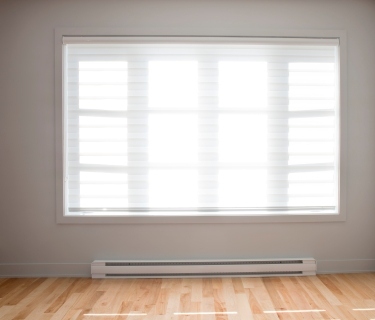 Let us provide all your heating baseboard needs. Whether the forced hot water baseboards in your home need fixed or replaced, or you would like to install them in addition to a full boiler system, we can help you do this. Call Jimmi The Plumber at (847) 584-3493 today for a free estimate!